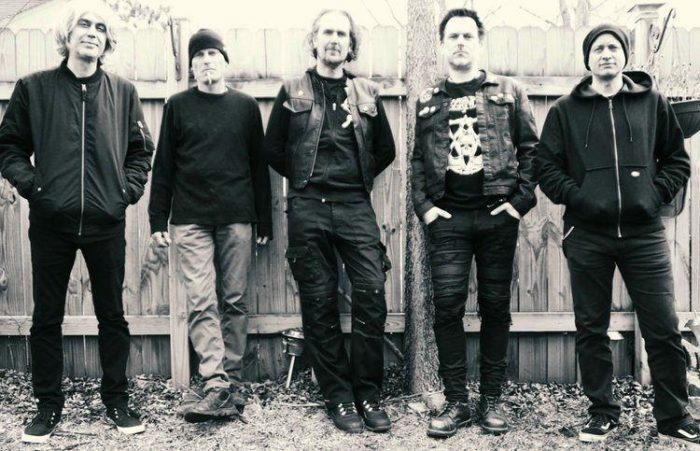 Death Metal Underground: Tau Cross – "Killing the King"
As is plainly obvious, “Killing the King” is an apolitical anti-authoritarian celebration of the power of bringing order through entropy and destruction that is part of the traditional spirit of metal. The lyrics are steeped in medieval mysticism and tell of the grisly fall of a traditional society, making reference to both Arthurian legend and the violent end of the Middle Ages. The European population had been slowly increasing since the fall of the Roman Empire due to new agricultural technology and techniques despite the lawlessness and constant low-level conflict. When the Medieval Warm Period ended at the end of the 13th century causing crop yields declined, a one-two punch of mass famine and the Black Death halved the population, plunging the continent into a frenzy of warfare and rebellion that destroyed the feudal culture and society of western Europe. Usually the divinely-ordained monarch supposed-in charge, whose dynasty was handed a crown by the fist of God coming out of the sky, met a morbid end. King Arthur himself went out this way when Camelot became a grey-skied, barren wasteland. This weather phenomena was corroborated by the contemporary Procopius who noted how the sun resembled an eclipse, a serious portend in almost all pre-modern cultures. As you probably know, Arthur supposedly sought the Grail to heal the land from whatever cosmic ill or human sin robbed his kingdom of fecundity but his nephew/son Mordred rebelled with many of Arthur’s knights and they both perished at the Battle of Camlann in 537. This is the mythological source behind T.S. Elliot’s The Waste Land, which Rob “The Baron” Miller (Amebix) has referenced in the promotional material for the album, which is especially pertinent to the present when the third world is about to subject itself to a Malthusian holocaust. “Killing the King” is a big improvement over “Deep State”, the first preview track from Pillar of Fire. The track sounds like Killing Joke, if instead of selling out in the mid eighties, they spent all of 1986 entranced by Metallica‘s Master of Puppets and decided to write heavy metal directly inspired by Metallica’s last hurrah. Hopefully the rest of the compositions on Pillar of Fire take after this and not the Sonic Mass type radio rock pandering heard on “Deep State”.